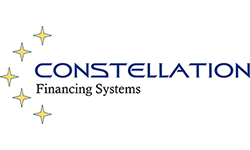 Constellation provides a suite of “best of breed” software applications to the North American Financial Services market. Through a well thought out strategy of acquisition, Constellation has purchased software companies with long-term existence in the market, which have developed mature, leading edge applications that service all areas of the market. Constellation provides a “one vendor” opportunity for customers to purchase either time tested components to fit their current system architecture or integrated, best of breed solutions for end-to-end strategies. Software from Constellation can be purchased either as a licensed in-house solution, a hosted ASP solution or, in certain instances, on a Software as a Service basis that can be paid for on a monthly basis with no long-term contracts. Constellation’s ASSET lease and loan management system provides a completely integrated object oriented solution for financial institutions, banks and lessors. ASSET provides one of the only fully featured solutions to support global leases and loans. ASSET incorporates event-driven Credit Applications, Lease and Loan Activation, Portfolio Administration with Billing, Cash Applications, ACH/PAPP, Securitizations, comprehensive Collections Management, and Asset Management, as well as end-of-term processing, including Trade-ups and Buyouts. In addition, ASSET’s extended Securitization and Funding module streamlines the process of compiling a funding package through user defined “Rules”. ASSET has been further enhanced to manage complex syndications for multiple syndicated parties. An inventory management module has been provided which allows, in addition to the usual inventory functions, an analysis of the whole life profitability of each asset as it may move between contracts and stages of its life. Sixty percent of ASSET is exposed through a Dot Net, Dynamic Link Library based API. Allowing for a true service oriented architecture and ease of integration with both Constellation as well as third party surround systems. Constellation’s Edge is the premier front-end software system for the equipment financing industry. Edge is an integrated system with common processes that automate and manage every step in the workflow of a financing operation, including CRM, Origination, Credit Adjudication, Document Management, Third Party Finding, Debt Based Financing and Report Management. Edge ties all addresses, contacts, quotes and transactions to a main customer record and is fully integrated with calendar, scheduling and task management. Edge also has it’s own internal lead generation and tracking module. The Edge workflow engine is status driven and allows for user defined events and rules to be created that drive both the routing of Edge objects and numerous types of notifications to be delivered to all entities involved in the finance process. Edge’s Booking module interfaces with ASSET as well as many other lease/loan accounting systems, to provide a best of breed end-to-end solution for equipment financing companies of all sizes. 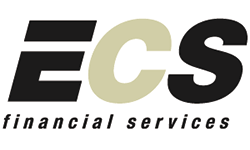 Edge provides clients with both a Windows desktop application interface as well as a web portal for including business partners in the finance process. Constellation’s RUBICON is the tool of choice for Canadian corporations in the process of acquiring depreciable capital equipment. Rubicon determines the superior alternative from the four possible acquisition options. RUBICON can be used by any corporation acquiring depreciable assets subject to Canadian Tax rules. 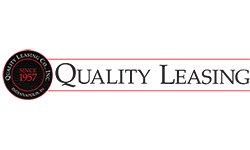 It provides evaluations, calculated on an “After Tax” basis and includes availability of detailed reporting of all of the components of the analysis. RUBICON’s “Breakeven” facility determines what “Breakeven Payment and Rate” (lease or loan) will cause the results of two of the previous results to be equalized. It also includes a Capital Lease test. Completed analyses can be stored for subsequent retrieval and modification.